MAKE THE TOP UNIT A “LONG TWIN “. THEN, THE TRUNDLE CAN BE SIZED FOR A REGULAR TWIN MATTRESS BELOW. SMALLER MATTRESS MADE, OR USE A FUTON IN THE TRUNDLE. in offering the trundle unit alone for the customer to mount on their bed project or built in unit. We stand behind the construction and the quality of the hardware. There are cheaper ways to do this ....THERE ARE NOT BETTER WAYS.... The glides we supply are used on Fire Trucks, Ambulances, Service Trucks, and Museum Storage Drawers. They have a 500 lb rating, and are massive. No matter, they do the job with a huge margin of SAFETY. They are all ball bearing, and smooth operating, full extension glides. We have added additional hardware, beyond the minimum called for, to guarantee strength, durability, and stability. The mechanism raises the trundle unit OFF OF THE FLOOR after about 12" of retraction. There are no rollers or wheels to cut long grooves in your carpet or mark your wood floors. The unit lifts, and the huge glides slide effortlessly to tuck the trundle unit below the top bed, and off of the floor. These units cannot be "stocked" by us. EACH UNIT SOLD HAS TO BE CUSTOM MADE TO YOUR EXACT SPACE REQUIREMENTS. Most usually, they are done in the Twin Bed format. However, we can build these units up to a size that will allow for a Full, or even a Queen sized Trundle. Never having built one that large, we are unsure of the application....BUT, we are confident that if you need a unit that size, we can build it. 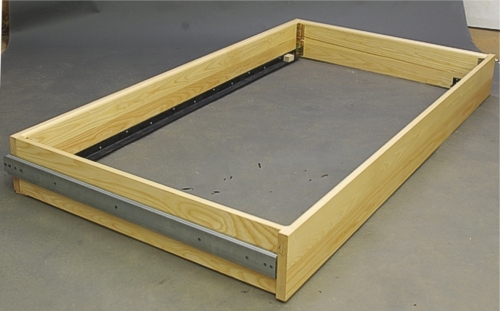 If you are building a bed or built in that will require a trundle unit, contact us as soon as possible in the planning stage so that the core requirements can be outlined. Obviously, there is a need for strength and stability where the trundle glides attach to the existing structure. We can offer guidelines that will make the fitting and use as easy as possible. We supply all necessary hardware to facilitate installation, and detailed, step-by-step instructions to guide you through the process. 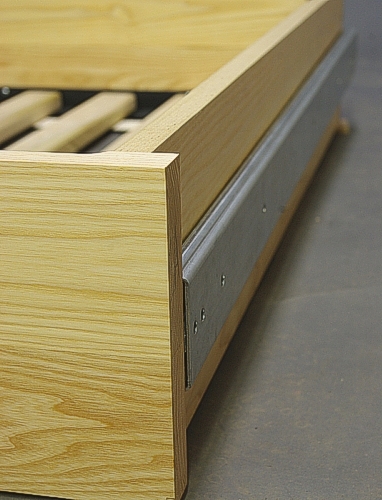 We can make the trundle units almost any size…..up to Queen bed width and length. When fully assembled, they become VERY solid units. The full-extension glides are rated at 500 lbs/pair. They are used on Museum Drawers, Service Trucks, Ambulances, and Fire Trucks to hold heavy gear, yet open effortlessly. We supply detailed instructions. 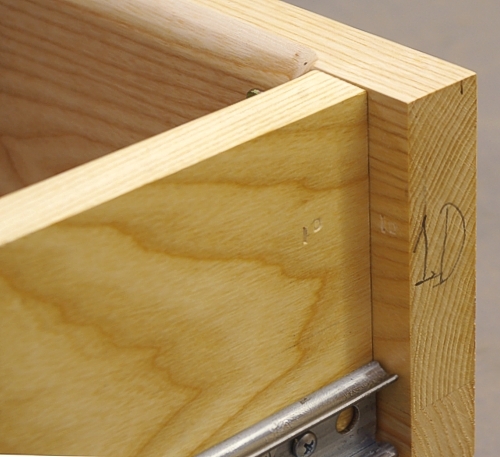 All the components are numbered for easy assembly. We could get away with one set of hardware….NOT our style, we double the hardware for a long, trouble free life. The rollers contact the floor on about the last 12” of extension. The slight ascending mount of the glides allows the rollers to lift off the floor as the unit is closed. NO long grooves or marks on the floor. 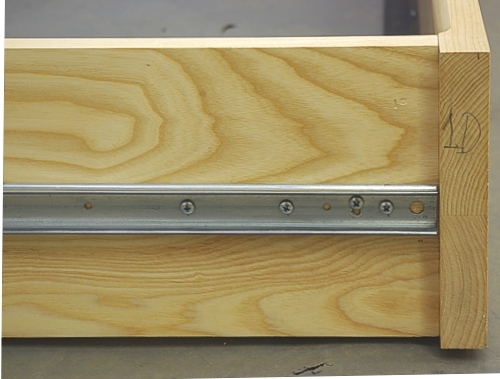 BUT….when fully extended, the rollers add an additional 500 lbs of load carrying strength to the unit. HEAVY DUTY, and double safe throughout. 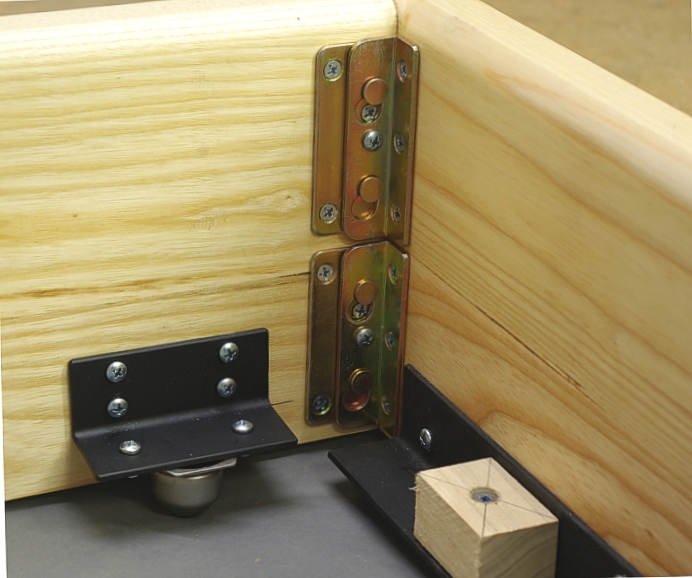 Multiple mounting screws on both the trundle, and the opposite side that mounts to your woodwork. It is easily asjusted. 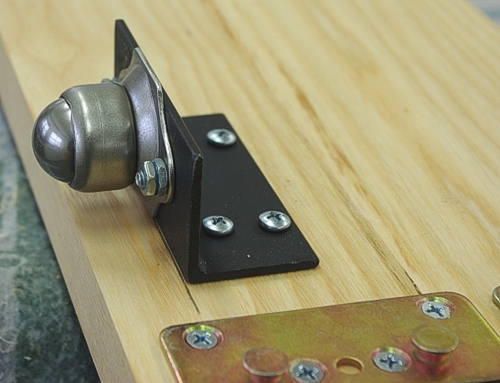 LOOK AT HOW MUCH THE GLIDE EXTENDS PAST THE SIDE OF THE UNIT…..less than 1/8”. 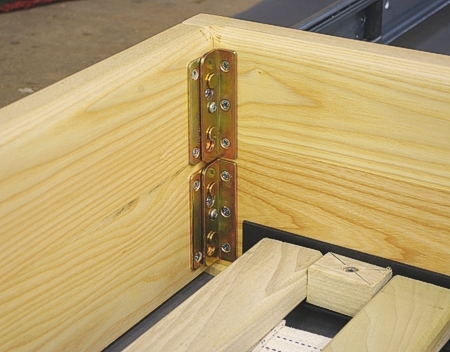 That is all the clearance we need to allow smooth, effortless opening and closing. Anywhere we can double the hardware….we do. Rock solid.